I had the pleasure of working with a US based business magazine – namely, Air Cargo World for their December 2014 / January 2015 issue. 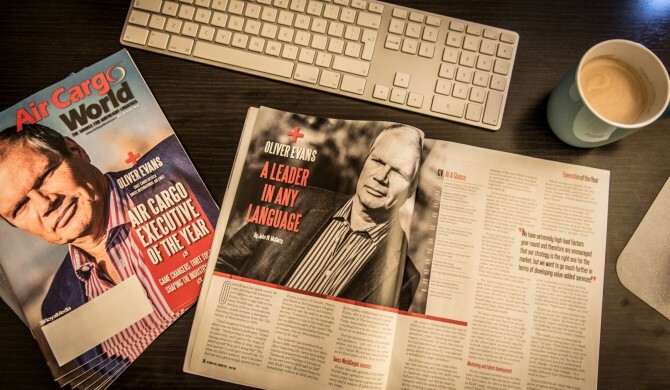 It features a number of images I took of Oliver Evans, a Swiss‘ Chief Cargo Officer who happens to be in the spotlight being voted the Air Cargo Exec of the year. The magazine is available through subscription channels only but the images used within can also be seen by browsing the appropriate gallery.